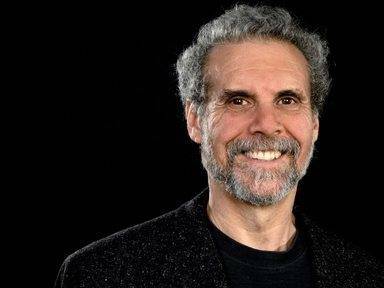 Psychologist and author Daniel Goleman, one of the world’s leading experts on emotional and social intelligence. As he publishes his latest collection of articles, he speaks to Ann O’Dea about many topics, including leadership in London. Widely acknowledged as the man who brought the concept of emotional intelligence to the masses. Through his 1996 bestseller Emotional Intelligence – Why it can matter more than IQ, Daniel Goleman has just published Leadership: The Power of Emotional Intelligence. The book collects together in one volume his ‘must-read’ articles from the Harvard Business Review and key excerpts from his books. Goleman elaborates on his thoughts about emotional intelligence versus IQ. Does he believe the former more important than the latter? “Well, to ask the question you have to say important for what?” Goleman begins. “Both are important, but they’re important in different ways. IQ, which is mostly the rate at which you acquire new cognitive information and understanding is essential for success in school, for mastering technical skills, for a broad range of applications. “If you look at the literature, IQ is a powerful predictor of what kind of job you can get and hold. In other words, what’s the level of complexity that you can manage day-to-day. So to be a physician or to be a barrister or to be a high-level executive you need to have an IQ probably above average, and that’s a necessary skill. However, those only get you so far in the working world. “IQ is not sufficient to predict, once you’re in that position, that you will emerge as an outstanding performer, as a leader. Unknown if you’ll emerge as a leader at all. So, when it comes to leadership, you’re dealing with a different skill set. You need to have self-mastery, you need to lead yourself as they say, and also you need to persuade, empathize, listen, communicate, elaborate, do all those things that require people skills. That’s the emotional intelligence domain. “In other words, once you’re in a high-level situation, IQ matters less in distinguishing stars from average performers. It is the interpersonal skills that make the difference. The Harvard Business Review chose his article ‘What Makes a Leader’ as one of the 10 ‘must-read’ articles from its pages. Republished in his new collection of works, Goleman takes us through the fundamentals of leadership. r the other three domains. “The second is self-management, if you don’t know what’s going on inside yourself, you will be very poor at managing others. It’s about having the ability to control your own emotions, so they don’t block your ability to think well, to create, to innovate, to stay fixed on a goal and the drive to achieve. Those are self-management skills. “Empathy is the third, and it again requires good self-awareness. There’s a lot of research even at the level of brain function that shows that people who are low in self-awareness are not able to attune to other people, not able to read them. “And the fourth domain in emotional intelligence is social skills. This last is about managing relationships, and it involves the most apparent leadership skills – things like persuasion, influence, communication, elaboration, teamwork. “My associates in the Hay Group have some authentic data now showing that leaders who are low in self-awareness typically fail to be able to develop strengths in these other domains,” he says. Goleman points to the three types of compassion in the self-awareness domain. The first, he says is cognitive empathy. “This is about being able to understand how the other person thinks. Leaders who are good at this can express things in a way that impacts people, that reaches people effectively. You cannot change your IQ, says Goleman, but the good news, he says, is that you can improve your emotional intelligence. “You can develop it, particularly when it comes to specific competencies that distinguish outstanding leaders. There is plenty of research on this. Emotional intelligence has to do with capacity, not a fixed capacity, and it tends to grow. Another area Goleman tackles in the new collection is the art of the review, and how good leaders get it just right. “It is all about realizing that this is a golden opportunity for you to help someone else get better, instead of just off the cuff giving them criticism, which has quite adverse effects on people. Goleman also tackles in his book the area of how negative moods can impact business results. “There’s a new field in brain science, it’s called affective neuroscience, and it studies how emotions operate in the brain,” he begins. “What they have discovered is that the emotional centers have powerful connections to the thinking centers, particularly the prefrontal cortex just behind the forehead, and they have found that strong negative emotions particularly, highjack this part of the brain, take it over and drive it, and they shrink its ability to function well. “It has to do with something called working memory, which is what you’re holding in mind right now, what you’re focusing on, what has your attention. Working memory is a fixed capacity, and to the extent that you’re having angry or anxious or frustrated thoughts, they intrude into that space and make it smaller. This is where we think creatively; this is where we make the right decisions, this is where we plan well, this is where innovation occurs. Goleman says good leaders know this, but I ask him to what extent emotional intelligence is now an accepted concept in management thinking, some twenty-five years after he published his bestseller Emotional Intelligence – Why it can matter more than IQ. “I think the idea of emotional intelligence as a means has become quite widespread, although not among all,” he says. “I was talking to a 20-something who is working in a new media consultancy that specializes in spotting trends, helping companies understand where things are moving, particular patterns among young people. He said very matter of factly to me, ‘You know, if you don’t have real emotional intelligence we don’t want you on our team.’ I think it’s more taken for granted among these younger leaders. 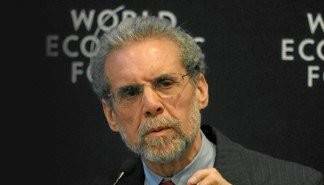 Psychologist Daniel Goleman is recognized as one of the world’s leading experts on emotional and social intelligence. His book Emotional Intelligence – Why it can matter more than IQ, brought the concept to the masses back in 1996. It has sold more than five million copies and has been translated into 30 languages. With his book Primal Leadership (The New Leaders), he went on to define the emotional dimensions of great leadership, while his 2006 book, Social Intelligence, The New Science of Human Relationships delved further into the area of building committed, motivated organizations. His latest collection, Leadership: The Power of Emotional Intelligence, can be purchased at www.morethansound.net.